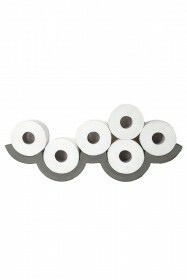 Storing toilet rolls needn't be boring or lack style with this Cloud Toilet Roll Holder. 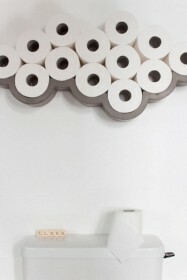 The Cloud is a new and quirky way to store your toilet rolls and add character to a room that often lacks it. 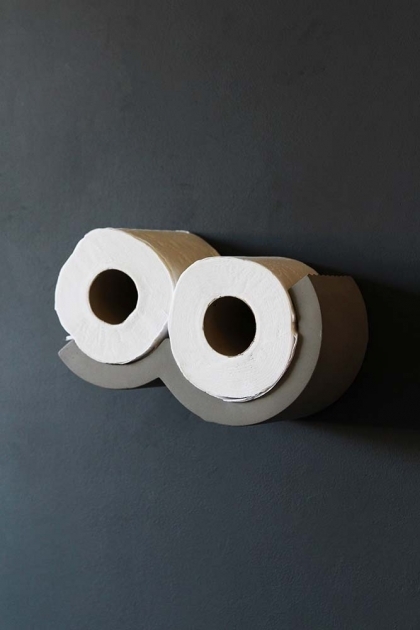 Why hide toilet rolls away in the airing cupboard when you can use them to fill a blank wall?! 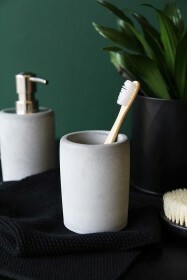 The shelf is formed from concrete so is great to add an industrial touch to your bathroom using raw materials. 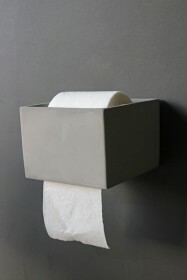 The Cloud concrete toilet paper shelf is delivered with invisible brackets. 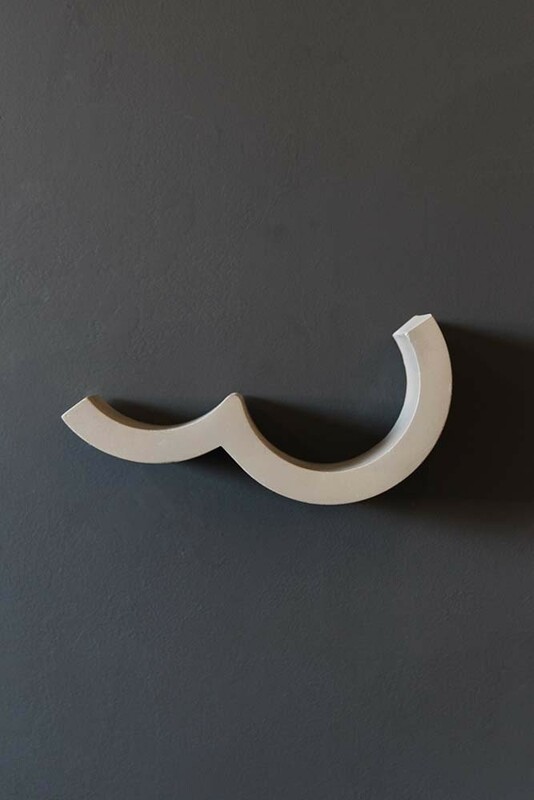 To fix them, you'll find in the box plastic pegs and chamber screws.